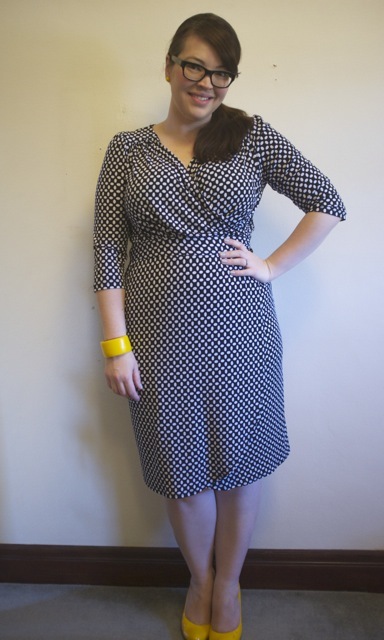 This entry was posted in Uncategorized and tagged dress, embody, warm by lillipilli. Bookmark the permalink. Oh I LOVE this on you! Love love love the shoulder / bust line. Perfection. I love a good wrap. They seemed to be everywhere in the mid 2000s, not so much recently?? You’ve inspired me to start my online search for a new one. You look gorgeous and so sophisticated (hehe ended up sounding like a pun)! 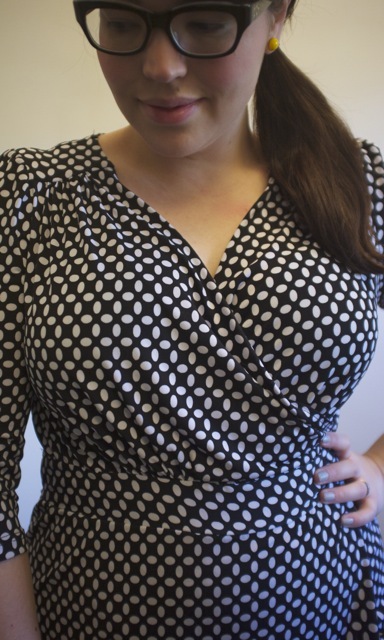 I’m still on the hunt for a good true wrap dress… Hope you have a lovely holiday in New York! What a perfect, easy dress! It fits you beautifully. I’m SO GLAD you’re BACK!! 🙂 I visit your blog daily, just to see if you’ve posted again. I’ve missed you! And golly, your hair has gotten LONG. Aw, thank you! And yes, though of course now I have a hankering to get it cut again! This is a very flattering dress on you. You sold it when you said the cleavage stayed in place without any unnecessary exposure. It’s definitely a winner of a wrap neckline. I’m glad I know what to look for now, too! Hello! Looking awesome as always! Hope your reunion with hubby was extra sooper dooper awesomely wonderful and that you’re enjoying New York! I can only imagine how special it is at this time of year. Thanks, Kelly! It’s pretty good. Cold and snowing, which is totally the prettiest thing ever, and Christmas lights up everywhere.